725 Gun Cleaner should truly be called Super Degreaser judging from the way it out-performs competitive products. This cleaner will cut through the toughest cosmoline, carbon, grease and grime! Its super strength allows it to degum and degunk the dirtiest of gun parts when sprayed on or used in parts washers or solvent tanks! Inhibited to help protect sensitive metals, 725 Gun Cleaner has been thoroughly tested in the field by shooters and gun smiths and has come through with flying colors! Hands-on Gunsmiths and Armors praise how quickly it dissolves in warm water, how well it works in both hard and soft water, how freely it rinses to leave parts bare-metal bright, how long it lasts for savings in product upkeep and disposal cost reduction. In just a few minutes, 725 Gun Cleaner / Degreaser will strip tenacious carbon stains and simultaneously, crack open and crumble heavily encrusted deposits of carbon, grease, grime, gum and gunk on aluminum, magnesium, stainless steel and other metal gun parts. 725 Gun Cleaner / Degreaser can be applied to a patch or spayed directly down the barrel725 Gun Cleaner / Degreaser is a biodegradable, non-solvent solution non-flammable water based product. This product contains quality surfactants, wetting agents, emulsifiers, cleaners and rust inhibitors. Rinses freely and is compatible with most oil water separators. To help prevent rusting, users must apply a Slip 2000 Gun Lubricant immediately after cleaning to disperse any moisture in parts. Slip 2000 Airgun Lubricant is designed for use on Airguns. Slip 2000 Airgun Lubricant is a 100% pure synthetic lubricant that does not contain Teflon, silicone or petroleum. It has a proprietary anti-wear agent that reduces friction and wear by 95-98%. It will not harden or become sticky or tacky and it does not freeze or gum up when used with Co2. It does not attract dust, dirt or sand and is excellent at displacing moisture. Lubricates, cleans and protects. Safe to use on all metal, plastic and rubber parts. Works great on aluminum. Use in bore to reduce friction, prevent pellet fouling buildup and increase FPS. 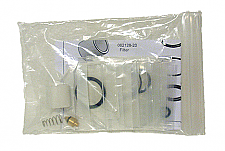 For use with all high compression CO2 and gas gun seals. 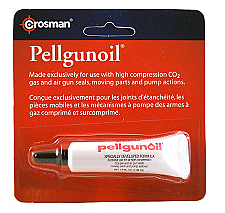 Use in all CO2 airguns and the IZH46m pistol. Keeps seals from drying out and helps prevent rust. The Flitz Granite Wax+ seals and protects against damage caused by hard water, miner deposits, food, wine, and many other environmental hazards. This easy to use Wax is as simple as spray on and wipe off to achieve a protective coating on the surface. all metals, porcelain enamel, oil-rubbed bronze. granite, marble, Corian,® Formica,® Wilsonart,® Nevamar,® Avonite,® Swanstone,® Silestone,® Gibraltar,® Fountainhead,® Cultured Marble, Fiberglass,® Plexiglass,® ceramic tile, plastics and more. Special note - The Granite Wax+ will put down a shinny slippery coating on any surface it is applied to. DO NOT apply to floors or other surfaces where slipping may be a hazard. GUN & KNIFE CLEANER: Degreasing formula. Anti-Smear. Use on stainless steel & nickel firearms & knives. Safe on interior & exterior of the bore. GUN & KNIFE WAX: A premium, white carnauba and beeswax formula that provides exceptional results on gun bluing, polished or hand-rubbed stocks, stainless and nickel firearms. Removes and Protects Against: Rust, Fingerprints, Water Stains, Powder Residue, Tree Sap, Blood, Salt Deposits, Lime Deposits and More! Why this product is best: Safe on the Interior and Exterior of the Bore, Will not attract dust or Wash Off in Rain, Water-based, Contains no Solvents, UV and Acid Rain Protection, Easy to apply and Buff Off, Protects up to 6 Months. FLITZ POLISH: This product will clean your stainless, nickel or HOT BLUED gun. Will remove powder residue, fingerprints, rust, etc without harming the surface. Excellent nylon coated, one piece cleaning rods. A newly designed ball bearing handle allows the rod to rotate effortlessly with the grooves of the barrel. JD Dewey Rods are available in .177 and .22 caliber and in varying lengths for pistol or rifle use. Each rod is shipped with a pointed jag. Optional slotted (loop) jags are also available.for a small cost. Air Venturi Metalophilic MP-5 oil penetrates the smallest crevices of your airgun and protects against corrosion and rust. This oil neutralizes sweat and salt and doesn't trap moisture. This oil eventually dries into a non-gumming, lubricating film which lasts through almost indefinite storage. Extend the life of your airgun and pick up this rust inhibiting oil today! Do NOT use Metalophilic MP-5 oil in the compression chamber of spring-piston airguns. 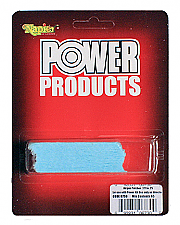 A pack of 65 replacement patches for use with the Napier Power Pull Through Kit. Use wtih all calibers. Just cut to size for any caliber. An all-purporse silicone grease for use on PCP O-Rings to keep them soft and supple. Use anywhere an ORing is found. The benefit of larger patches is that they can be cut into any size needed for a particular caliber. These patches will work for .177, .20, .22 and .25 caliber. Designed for use with the Otis flexible rod.